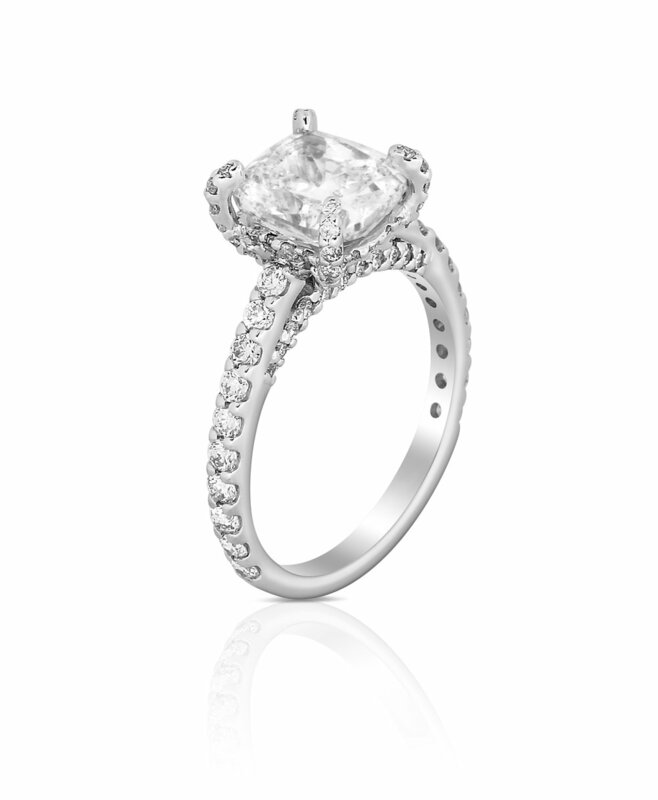 Deceptively minimalistic in design, this stunning engagement ring features a gorgeous cushion cut diamond. The mounting and the band of this ring are where decadence comes into play—white diamonds span every bit of this ring, from the band itself to the tips of the claw prongs. When designing this ring, Ashley decided to play with the idea of ice crystals: she wanted this ring to look as though the ice was spreading from a single focal point—the center diamond—over every surface: just as ice does in Mother Nature.